Connecticut State Police are asking qualified residents to apply to the department during a year that coincides with a wave of retirements. The time to apply is running out and the exam is offered every three years. The State Police Union said more officers are desperately needed after more than two dozen troopers retired within the year. "Connecticut State Police is hiring. They're looking for trooper trainees. The application period is open for one more week, April 11, at 1 p.m. it closes,” State Police Public Information Officer Trooper Kelly Grant told NBC Connecticut. 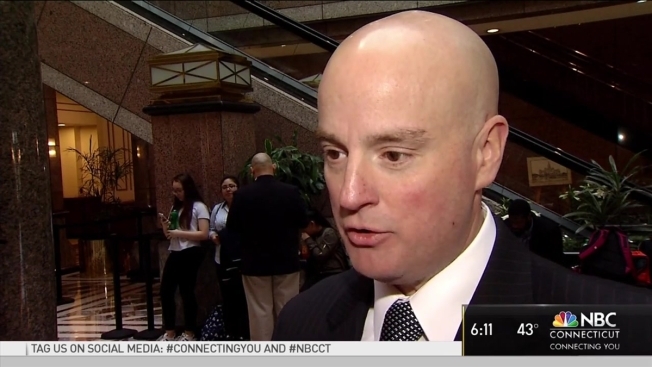 “From the membership’s perspective, we need more troopers,” State Police Union President Andrew Matthews told NBC Connecticut. As the state police department actively recruits new trainees for its normal hiring cycle, the timing couldn't be more appropriate. As of the first of April, 29 sworn troopers, with varying ranks, retired. Both the state police public information office and state police union say there have been 65 sworn officer retirements since July 1, 2016, but only union leadership claims current total trooper numbers are quote "dangerously low" at 1016 total troopers. “At our highest we were 1283 troopers, so we're about 267 less troopers in an 8 year period, than we were in 2009, which is concerning. i know it’s a cost saving to the state of CT, but one might ask what services aren't we providing anymore w/267 less troopers & how does that impact the safety of the public and safety of our troopers," Matthews said. Grant said the accurate total trooper number is 1031. "Despite the size of our ranks, public safety remains the department's top priority. due to increased efficiencies and efforts to make the highest, best use of our resources, minimum patrol on the road has not changed, and we provide the same level of service protecting the people of Connecticut." Grant said this exam only comes every few years. “You have to go through Department of Adminsitrative Services (DAS) to apply, to fill out the application form and pick out the date and time where you're going to take the test,” Grant added. After exams, background checks and seven months at the academy, Grant said the next class could be ready to go at the start of 2018. A perk of the job is getting a take home cruiser. If you're interested, you have until April 11th at 1 pm, to apply or head to the police academy in Meriden on Saturday and meet with troopers in person, to ask any questions you may have.